We craft slick websites and apps for businesses and startups of all sizes. We know WordPress inside and out, and use it on a majority of our projects that require a CMS. We build sophisticated custom themes from scratch using best practices, so you know your website will be in good hands. We do offer theme customization projects as well, but our bread and butter is custom design & development work. Our expertise and sophisticated workflow means we’ll never waste your time or money with technical issues caused by our own staff. Building a website that accepts payments and manages inventory isn’t like a walk in the park. When dealing with money and private customer data, there are many things to take into consideration. However, having developed and launched many successful online stores, we’ve learned from our own mistakes and have developed the proper techniques and practices for launching a successful e-commerce website. Are you looking to partner with an AGILE team to plan, design, build, and launch a web application or corporate / intranet app? We’ve developed numerous custom web applications (including time tracking, purchase order management, invoicing, and more) for corporate environments and startups alike. We create hybrid apps which are built using web technologies and run as native apps for both iPhone and Android. We want to push your website or application to be as successful as it can be, and a strong online marketing campaign is the necessary supplement to an attractive, functional website or app. For this reason we've developed and honed our inbound marketing & search engine optimization skills to create packages and strategies that achieve results and increase the amount of visitors and customers you get each month. 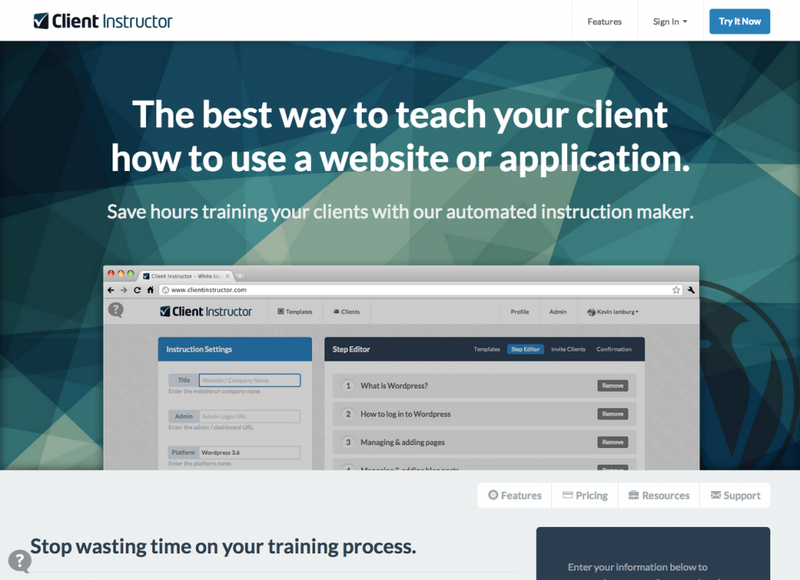 Client Instructor is a Software as a Service (SaaS) application which caters to web agencies and freelancers. The interface is quick and snappy and pleasant to use. Athena Management Group, a leading collections agency based out of California, needed a strong online presence to properly represent their strong brand. We quickly created a brochure-style website to showcase their company. Article Writing Source is a leading resource for copywriting services online. Our mission was to create an appealing website to attract them some new customers, utilizing an e-commerce platform so that their clients can easily order their services online. Stemming from the world famous Ilana Jivago fragrance line comes Jivago Watches, a luxury watch brand. We were approached by Jivago to create an e-commerce website to sell their products online. Based out of Los Angeles with roots in Tel Aviv, Israel, Sigalie has earned a name for itself amongst handmade jewelry consumers worldwide. We developed an e-commerce website with a light, aesthetically pleasing look, which was tuned for performance. “We Build” is a home improvement and construction contractor in Los Angeles. We took their logo and marketing material and used their pre-existing branding to create a website based on their specifications. Light in Art is a hand-made artisan lighting store in West Hollywood. Their website features e-commerce functionality using Wordpress as a robust CMS (Content Management System). Gil’s Electrical Service needed a comprehensive online presence to take their business to the next level. Using our content strategies, we created an elaborate website that covers all of their services and service areas. Kevin Iamburg - September 24, 2017 - No comments yet.